No firm has been as influential as IEG, Inc. in establishing sponsorship as an industry and communications medium. Located in Chicago, IEG began in 1984 with the launch of its newsletter, IEG Sponsorship Report, through which it envisioned and defined an industry that today is worth more than $30 billion worldwide. IEG also created the protocol for determining the fair market value of sponsorship. The IEG Valuation Service has valued more than 1,000 opportunities–from televised events like FIFA World Cup and X Games to destinations, associations, Web sites and causes. The Company works with some 5,000 organizations each year–from the NFL, Kennedy Center and the American Heart Association to Credit Suisse, Verizon Wireless and General Motors.Since IEG began analyzing sponsorship more than 20 years ago, virtually the entire industry has adopted IEG’s techniques for value measurement. IEG’s pioneering analysis of non-measured media has become the primary method of valuing sponsorship benefits. 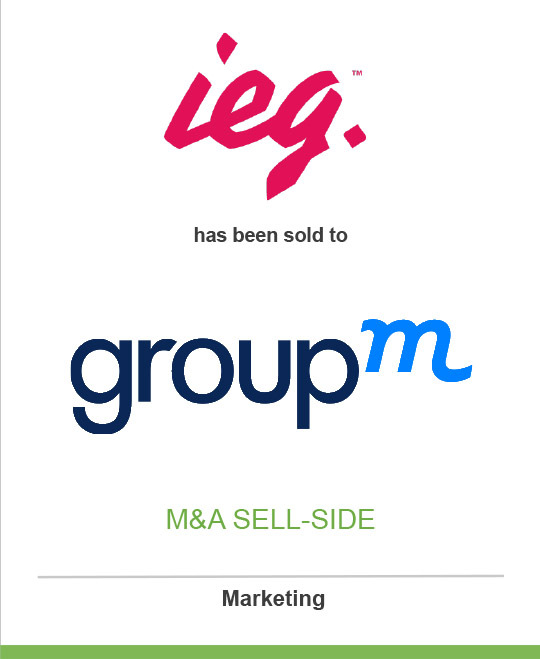 Additional information on IEG and its three operating groups–Advisory and Valuation Services, Events and Training, and Information Services–can be found online at Sponsorship.com. GroupM, the world’s leading full-service media investment management operation, was created by WPP Group to oversee its assets in this sector: Mediaedge:cia, MindShare, MediaCom and MAXUS. The focus of GroupM is the intelligent application of volume and scale in trading, innovation and quality of services, in order to bring benefit to clients and the companies it operates. For further information, visit www.groupm.com.WPP (NASDAQ: WPPGY) is one of the world’s leading communications services groups, providing national, multinational and global clients with advertising; media investment management; information, insight & consultancy; public relations & public affairs; branding & identity, healthcare and specialist communications. Its worldwide companies include JWT, Ogilvy & Mather Worldwide, Y&R, Grey Worldwide, Bates Asia, Wunderman, Hill & Knowlton and Burson-Marsteller, among others. Collectively, WPP employs more than 91,000 people in 2,000 offices in 106 countries. For further information, visit www.wpp.com.